Blog The state of Iowa’s innovation ecosystem: so much progress, yet so much more to do. The state of Iowa’s innovation ecosystem: so much progress, yet so much more to do. 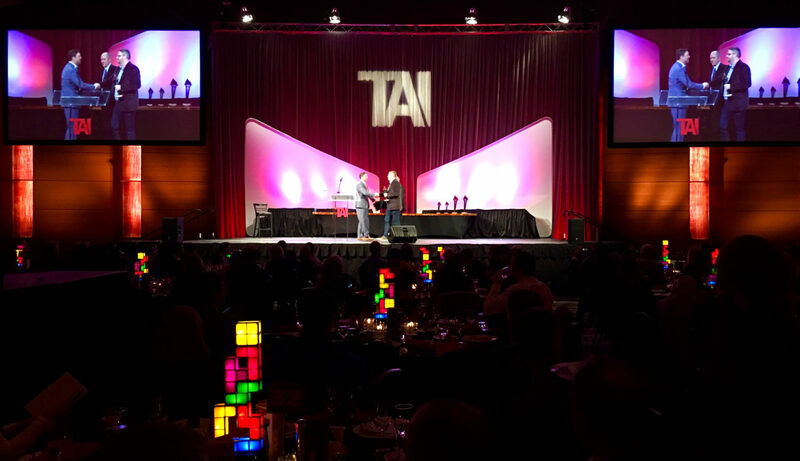 Last night, the NewBoCo team attended the annual Prometheus Awards put on by the Technology Association of Iowa (TAI). Having been a long-time member of the organization, and a current board member, I’ve been attending this event since the very beginning 12 years ago. Back then, it was maybe a hundred or so state leaders, technology leaders, and economic developers kind of quietly celebrating our nascent technology ecosystem. This year, however, shows just how much the technology industry in Iowa has grown: around 900 people attended the event, including the Lt. Governor Kim Reynolds and leaders statewide. More than a dozen winners were given awards from about 50 nominations. That’s a big deal, and TAI and the Prometheus Awards made sure it was front and center. My team was fortunate enough to win the LWBJ Impact Award, and I was fortunate enough to win CEO of the Year. In the past three years, a wide array of programs have come online to support entrepreneurs, and most of the fast growing startups are technology companies of some sort. With a decade of perspective, the progress is quite remarkable, actually. Just watching the event you can quickly see that the industry is dominated by men: the vast majority of attendees, people who walked across the stage, and the actual winners were white men. To TAI’s credit, their recently-formed Diversity & Inclusion Committee (that I’m a part of) is taking some strong steps forward. But it’s going to take a major concerted effort as a state if we want a reasonable balance of diversity in the technology industry in our state. TAI has been working hard, as have organizations like the Governor’s STEM Advisory Council, to get computer science into more classrooms in Iowa. New legislation has been proposed to help train enough teachers to actually teach computer science in schools, but it will take years to implement fully. NewBoCo is working with Code.org to provide some of this training, but we need a major coordinated effort to make a big enough impact in our state. So, while we should be justifiably proud of the progress we’ve made, this is no time to rest: there’s clearly much more work that needs to be done. Let’s get this done, together. What do you think? Is Iowa on the right track? Give me your thoughts at eric@newbo.co. Eric Engelmann founded Geonetric in 1999, and presently works as the Executive Director of NewBoCo in Cedar Rapids, Iowa. He’s a board member at Scrum Alliance, the Technology Association of Iowa, and GO Cedar Rapids.